Stainless steel case with a dark brown leather strap. Fixed stainless steel bezel. 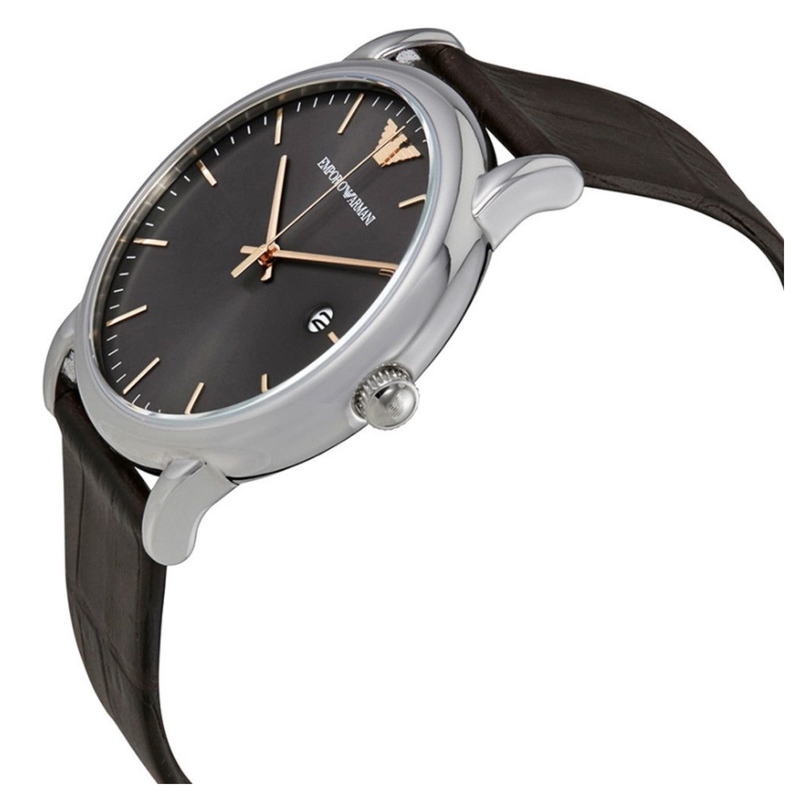 Grey dial with rose gold-tone hands and index hour markers. Minute markers around the outer rim. 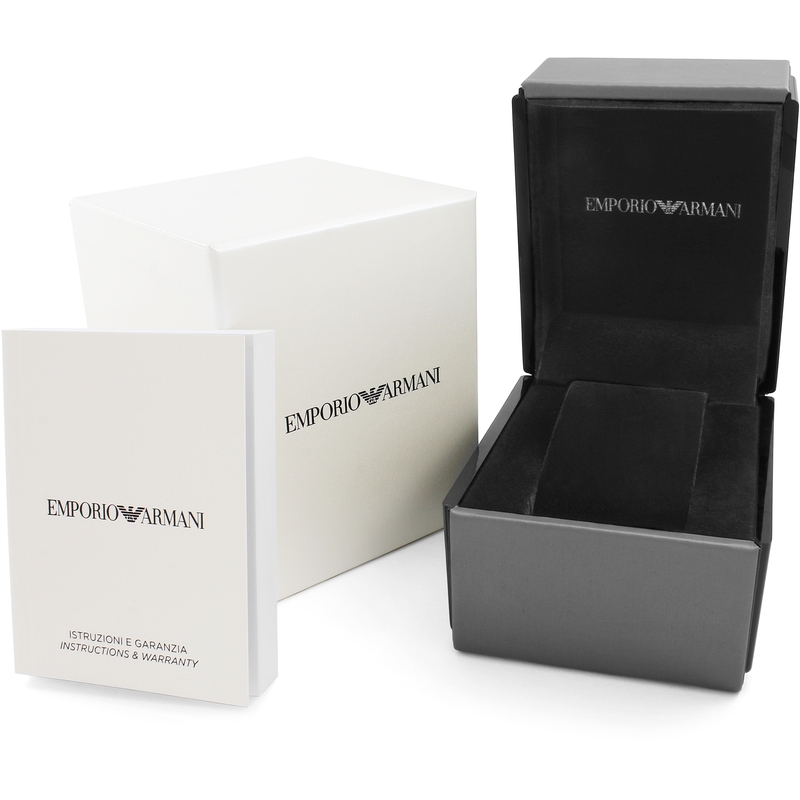 The Emporio Armani logo appears at the 12 o'clock positions. Dial Type: Analog. Date display at the 3 o'clock position. Quartz movement. 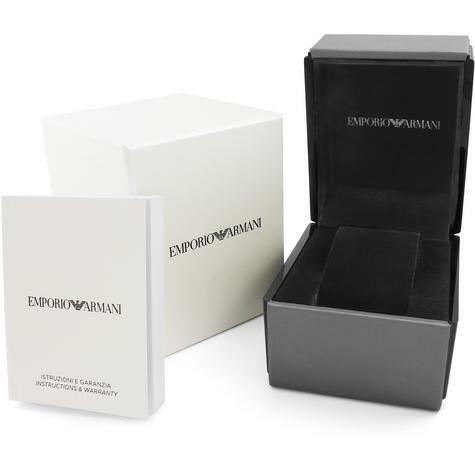 Scratch resistant mineral crystal. Pull / push crown. Solid case back. 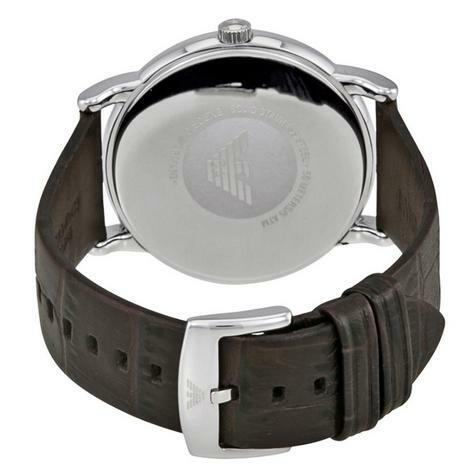 Case size: 43 mm. Case thickness: 9 mm. Round case shape. Band width: 21 mm. Tang clasp. Water resistant at 50 meters / 165 feet. Functions: date, hour, minute, second. Casual watch style. 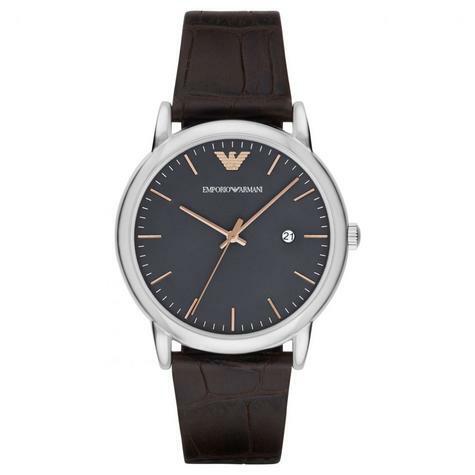 Emporio Armani Luigi Grey Dial Mens Casual Watch AR1996.